Disney Cruise Line had some exciting things happen in 2013! No new ships, or even announcements of them, but still it was a good year! Here are some of my favorite things that happened. Add yours below! 1. 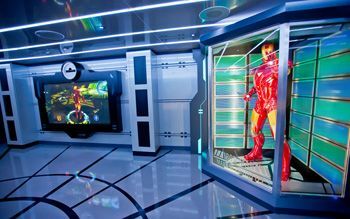 The Magic Was Reimagined – The Disney Magic was reimagined and is awesome. It wasn’t gutted, it was redone (reimagined in Disney speak), and the changes are wonderful! The initial sailings had some kinks, but Disney worked hard to get those fixed. The AquaDunk took my breath away. Literally. No, seriously, it scared me to death. But in a fun way. The new Oceaneers Club and Lab are kid heaven, and the Twist n’ Spout slide and Aqua Labs are great additions. Cabanas is about a million times better than Topsiders. I don’t even think I’m exaggerating. Carioca’s has great food and beautiful new theming. The staterooms have some new, much needed additions like new bedding and more power outlets. The Night Clubs are updated with new modernized theming. I really think Disney took a great ship and made it even better. 2. Lifeguards Are Now Stationed on All Four Ships – I can’t say enough what a great decision I think this was. Disney prides itself on being a family friendly cruise line, and putting a lifeguard at the family pool during pool operating hours is putting its money where its mouth is. What’s more important to families than an extra layer of safety for their children? Other cruise lines need to play catch up here. 3. Exciting New Ports of Call! – That sounds like a commercial, doesn’t it? Disney Cruise Line called on some new ports in 2013. I was fortunate enough to be onboard for the first visit to Greece and Turkey, and it was excellent. The Acropolis in Athens was breathtaking, and Mykonos quickly became one of our favorite ports ever. We also enjoyed touring the ruins of ancient Ephesus. The cruise after ours visited Venice and Croatia! How cool is that? I’m always “pro” new ports. Always. 4. A New Cruise App Debuted – Disney introduced a new mobile app to replace (or use in conjunction with) the paper Navigators that appear in your stateroom every night. Currently it works on the Dream and Fantasy, and hopefully it will roll out to the Magic and Wonder soon. We really enjoyed having the day’s plans at our fingertips, but it was even nicer to look ahead a few days. If we wanted to participate in an activity but the timing wasn’t working for us, we just clicked ahead to make sure it was coming again. We could highlight the things we didn’t want to miss, see the menus for each dinner (we got excited when we saw Thanksgiving dinner had 8 choices for entrees), and there was even a neat countdown to our cruise before we left. This app is well done, and it is absolutely free both to download before you depart and to use once onboard! 5. 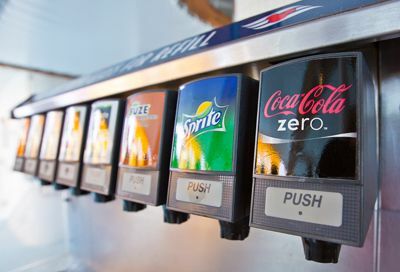 Coke Zero Comes to Cruising – Announcement, please. The Disney Magic now has Coke Zero on tap! Coke. Zero. On. Tap. I can’t even describe how happy that discovery made me. Bring it to all your ships, Disney! 6. Captain Tom Was Promoted – Captain Tom has been there since the beginning of Disney Cruise Line. He oversaw the building of all four ships and was the first captain of each. This year, Disney surprised Captain Tom by giving him the honorary rank of Commodore. Congrats, Captain Commodore Tom! 7. Cruise Casual Became More Casual – Shorts are now okay in the main dining rooms onboard! Opinions are split on whether this is good, but considering Disney never enforced the dress code in the main dining rooms anyway, it’s not a huge change in practice. It just makes it within the rules for those rule followers among us. My family likes to dress up more for dinner, but it is nice that you can relax a little more if shorts are just your thing or if you are running late from a port excursion. 8. No More Smoking on Verandahs – Disney announced that beginning in November, smoking was no longer allowed on verandahs. Speaking of opinions being split, I know there are some smokers who were very disappointed in this change. Disney is not banning smoking on their ships since there is still a designated smoking area on the pool deck. It just cannot be done on your personal verandah. While this is inconvenient for the smokers who liked the convenience of stepping outside their rooms to smoke, it’s a huge plus for those who couldn’t fully enjoy their verandahs because of a smoker up wind of them. Controversial subject, for sure! 9. Miami Is A New Home Port – In addition to some exciting new ports of call, Disney added a new home port in 2013 – Miami! Miami is a hopping city with tons to do and a great place to sail out of. It’s a great choice. 10. Last Minute Discounts Became More Regular – Disney has some last minute, non-refundable, non-changeable, category-guarantee fares for spur-of-the-moment cruisers called VGT (verandah guarantee), OGT (oceanview guarantee) and IGT (inside guarantee). These weren’t new for 2013, but they sure did become a fairly regular offering in 2013. Discounts used to be few and far between on Disney cruises, and booking on release day or onboard were your best options to save money. 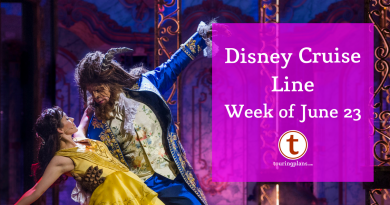 With these category-guarantee fares, however, Disney gives you the chance to pay fares that approach release-day prices even if you only book 2-3 months from sailing (! ), which is great if you didn’t, or couldn’t, plan ahead. In exchange for your savings, Disney doesn’t allow you to select your specific cabin, just a specific room category. Disney then selects your cabin and lets you know the specific cabin number a few weeks out from sailing. 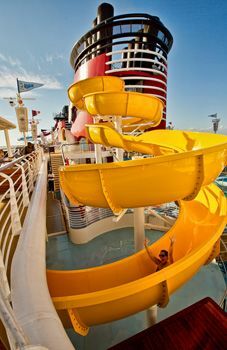 There are lots of nuances with these fares, so call Disney Cruise Lines or your travel agent to get all the details. With four ships to fill, these fares popped up all the time in 2013, even on traditionally busy holiday sailings. More discounts is never a bad thing. Bonus – Disney didn’t do this one, but Touring Plans did, so it’s my bonus for 2013! Touring Plans added an awesome cruise section to the website this year. It is full of pictures, tips, and – probably the most ingenious tool – a fare tracker to help you decide when is the best time to book your cruise. Check it out! How about you? Was there anything Disney Cruise Line did in 2013 that you were particularly excited about?